Peter is a teacher educator working in the School of Education at the Mt Helen Campus of Federation University Australia. Peter joined the University in 2014 moving in the merger with Monash Gippsland. 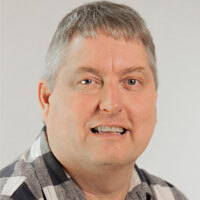 Prior to moving to Federation University Australia, Peter worked at Monash Gippsland as a Science Education Officer with the Gippsland Access and Participation (GAP) project. Peter was the Principal of a small Gippsland secondary school and taught in a variety of P-12 and Secondary settings in regional and remote schools. Peter has a long standing interest in Mathematics Education and is committed to the development of mathematics teachers who can engage students by putting mathematics in context. He is currently researching how to build confidence and competence in pre-service teachers and how classroom ready pre-service teachers feel at the completion of their course. Peter is currently an Associate Supervisor on three PhD projects in the mathematics education and thinking areas. Prain, V., Cox, P., Deed, C., Edwards, D., Farrelly, C., Keeffe, M., Lovejoy, V., Mow, L., Sellings, P., Waldrip, B., & Yager, Z. (Eds. 2014). Adapting to Teaching and learning in open plan schools. The Netherlands: SENSE Publishers. Prain, V., Cox, P., Deed, C., Edwards, D., Farrelly, C., Keeffe, M., Lovejoy, V., Mow, L., Sellings, P., Waldrip, B., & Yager, Z. (Eds. 2015). Personalising learning in open plan schools. The Netherlands: SENSE Publishers. Brandenburg, R. & Sellings, P. (2015). Competence, Confidence and Attitudes as factors in Mathematics Learning and Teaching for Pre-service Teachers. In Garbett & Ovens (Eds.). Teaching for Tomorrow Today (2015). Prain, V., Cox, P., Deed, C., Dorman, J., Edwards, D., Farrelly, C., Keeffe, M., Lovejoy, V., Mow, L., Sellings, P., Waldrip, B., & Yager, Z. (2014). Researching the outcomes of the Bendigo Education Plan. In V. Prain, P. Cox, C. Deed, D. Edwards, C. Farrelly, M. Keeffe, V. Lovejoy, L. Mow, P. Sellings, B. Waldrip, & Z. Yager (Eds. ), Adapting to Teaching and Learning in Open-Plan Schools (pp. 3-18). Rotterdam: Sense Publishers. Prain, V., Cox, P., Deed, C., Dorman, J., Edwards, D., Farrelly, C., Keeffe, M., Lovejoy, V., Mow, L., Sellings, P., Waldrip, B., & Yager, Z. (2014). Personalised learning: Theory and Enactment. In V. Prain, P. Cox, C. Deed, D. Edwards, C. Farrelly, M. Keeffe, V. Lovejoy, L. Mow, P. Sellings, B. Waldrip, & Z. Yager (Eds. ), Adapting to Teaching and Learning in Open-Plan Schools (pp. 43-60). Rotterdam: Sense Publishers. Prain, V., Cox, P., Deed, C., Dorman, J., Edwards, D., Farrelly, C., Keeffe, M., Lovejoy, V., Mow, L., Sellings, P., Waldrip, B., & Yager, Z. (2014). New practices and future implications for learning in open-plan settings for low socio-economic background students. In V. Prain, P. Cox, C. Deed, D. Edwards, C. Farrelly, M. Keeffe, V. Lovejoy, L. Mow, P. Sellings, B. Waldrip, & Z. Yager (Eds. ), Adapting to Teaching and Learning in Open-Plan Schools (pp. 195-204). Rotterdam: Sense Publishers. Sellings, P., Waldrip, B., Prain, V., & Lovejoy, V. (2015). Using student voice in social studies/humanities to personalise learning. In V. Prain, P. Cox, C. Deed, D. Edwards, C. Farrelly, M. Keeffe, V. Lovejoy, L. Mow, P. Sellings, & B. Waldrip (Eds. ), Personalising learning in open-plan schools (pp. 181-204). Rotterdam: Sense Publishers. Deed, C., Cox, P., Dorman, J., Edwards, D., Farrelly, C., Keeffe, M., Lovejoy, V., Mow, L., Prain, V., Sellings, P., Waldrip, B., & Yager, Z. (2014). Personalised learning in the open classroom: The mutuality of teacher and student agency, International Journal of Pedagogies & Learning, 9(1), 66-75. Prain, V., Cox, P., Deed, C., Dorman, J., Edwards, D., Farrelly, C., Keeffe, M., Lovejoy, V., Mow, L., Sellings, P., Waldrip, B., & Yager, Z. (2013). Personalised learning: lessons to be learnt. British Educational Research Journal, 39(4), 654-676. Waldrip, B, Cox, P., Deed, C., Dorman, J., Edwards, D., Farrelly, C., Keeffe, M., Lovejoy, V., Mow, L., Prain, V, Sellings, P., & Yager, Z. (2014). Student perceptions of personalised learning: development and validation of a questionnaire with regional secondary students. Learning environment research, 17(3), 355-370. Waldrip, B. , Prain, V., & Sellings, P. (2013). Explaining Newton's laws of motion: Using student reasoning through representations to develop conceptual understanding, Instructional Science, 41(1), 165-189. Sellings, P. (2014). Developing engaged learners: Working with teachers in collaborative partnerships to develop secondary classroom practices. Proceedings of the Australian Teacher Education Association, Sydney, 213-229.